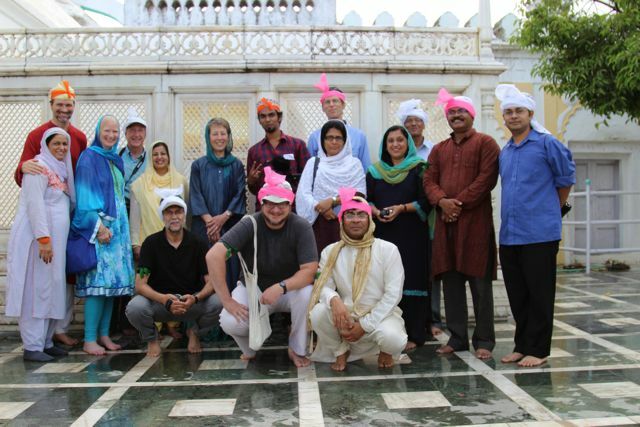 On August 1-4 2014, fourteen scholars from eight countries met near Aurangabad, Maharashtra, in a workshop sponsored by six American Overseas Research Centers (AORCs), organized and hosted by AIIS. The theme of the workshop, “The Practice, Performance, and Politics of Sufi Shrines in South Asia and Beyond,” was collaboratively conceived by four South Asian AORCs (the American Institute of Bangladesh Studies, American Institute of Pakistan Studies, and American Institute of Sri Lanka Studies, together with AIIS), and its proposal was written by Carl Ernst, noted Islamic studies scholar at UNC Chapel Hill. A final report on this workshop can be found here.